I will run 100km in one go in the night of June 13th (competition details here: www.100km.ch). 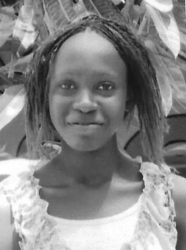 Every kilometer covered shall get me CHF 30.- closer to the goal of financing a scholarship for the talented, 14 year old Ann who aims to become a lawyer and activist against female genital mutilation. With the help of us all, Ann will be able to go to secondary school, achieve her dreams and realize her potential, and she will be able to impact and save other girls. Support me in getting Ann into secondary school! How much of a distance will you help me cover? Thank you in advance!! Jan Thanks for the first few donations and thanks in advance for the ones coming! Cheers!! dont-complain.com Strength and honor, T-Rihak!